Our small group signup after mass has completed for this year, so please sign up online by CLICKING HERE or email us at smallgroups@olphparish.org. We would love to hear from you! Small Group Leaders and Hosts, please click here for details and documentation on leading a group. 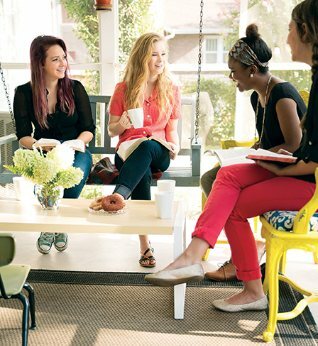 OLPH small groups are a place where we can grow in our love of God and neighbor in authentic and caring ways. They are a place for us to find encouragement, care and accountability, connecting with other disciples in a more personal environment. 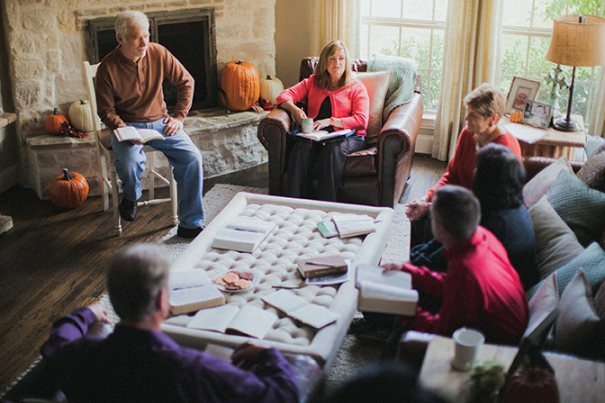 Small groups help Christians live out their faith instead of merely hearing more preaching. If Sunday morning is for listening, then the rest of the week is for acting. 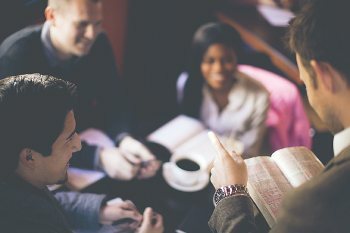 Whether it’s discussing the homily, talking about a spiritual struggle or simply praying for each other, small groups create a time for Christians to live their faith in real life. 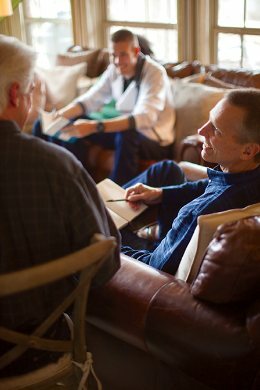 What Are the Days/Times for New Small Groups? There are small groups available during most evenings during the week. If we do not have a day of week and time available that is convenient for you, we will try to create new groups as needed. In Person: We have a sign-up weekend once a year in the fall. It is in the Narthex following all Masses and you will see the advertisements before hand. Simply join us and sign-up to be part of a group. We would love to meet you face to face! Online: Electronic sign-up is available if you CLICK HERE. After I sign-up, when will my group start meeting? Small Groups meet the 1st and 3rd weeks or the 2nd and 4th weeks throughout the year. Your small group leader will let you know when your specific small group will meet. Please get in touch with us, we want to help with any questions or concerns you may have!